Happy Mardi Gras! Tomorrow is Ash Wednesday, the first day of Lent, commencing 40 days of rigorous Spiritual Discipline. Tomorrow Catholics and Christians all over the world will Fast, repent from sin and prepare to enter a period of self-denial. Many people like my husband, will attempt to bypass the TRUE MEANING OF LENT altogether, preferring to opportunistically view it as a “Do-Over,” as it’s been 48 days since we made our New Year’s resolutions and 47 days since we broke them! Just like New Year’s Day, when he tried to make me “resolve jointly,” he now wants to yoke us spiritually by suggesting we give up the exact same thing together for Lent. It’s as though he thinks we will meet St. Peter at the Pearly Gates on the same day and be judged as a couple! Today after tennis, however, a group of “the tennis gals” discussed what we might potentially give up. This is a more realistic group of people for me to have this conversation with, since, as middle-aged women, we are more likely to struggle with similar temptations. Some ideas were bandied about. Interestingly, not one lady one mentioned giving up tennis. (USTA season is about to start and everyone needs to practice!) Someone suggested we give up cussing after poorly executed shots. Someone else suggested doing something positive for the community. Another gal mentioned giving up alcoholic beverages, which totally side-tracked us, as it reminded me to tell everyone about this dear little martini Jimmy has been making me lately. We spent the next hour texting Martini recipes to each other and we never did make a decision about what to give up. 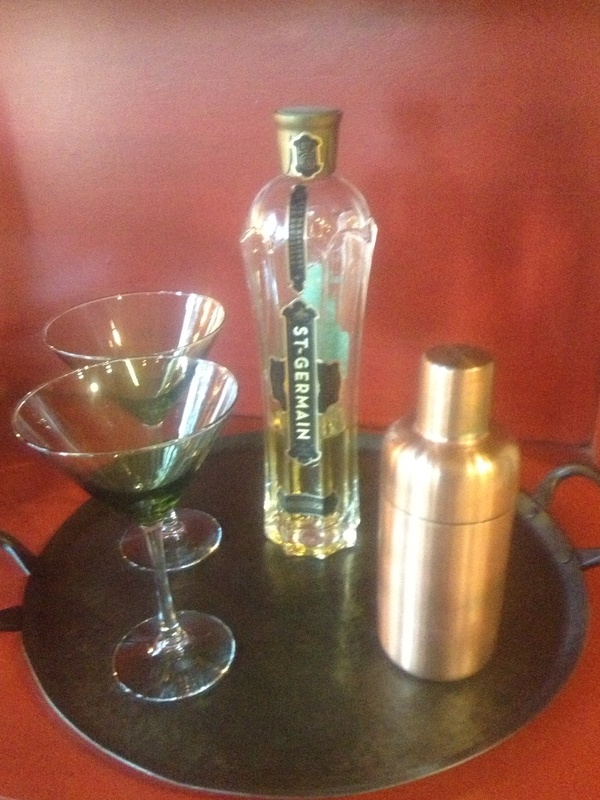 Combine all ingredients in a martini shaker filled with ice and shake, shake, shake, shake, shake!